Damages below a deductible create a number of complications for everyone, so it is important to clearly understand who is responsible for maintenance and repair of the strata lot, common property, limited common property and alterations to a strata lot. The dividing line between two strata lots is the centre point between the floor and the ceiling. That tells us that the ceiling of your unit and the floor of the unit upstairs are part of the strata lot and each owner's responsibility. If there were pipes, wires, cables or ducts that ran through that floor space, and they were common property because they were capable of being used in connection with another strata lots, or they were deemed the responsibility of the strata corporation under the bylaws or the act, then the strata corporation may also have responsibilities for restoration. Even though the original ceiling and floors are part of the strata corporation's fixtures and assets for insurable purposes, that does not mean the strata is responsible for their maintenance and repair. At this time, only in the event of an insurable claim will the strata corporation cover those areas of restoration. 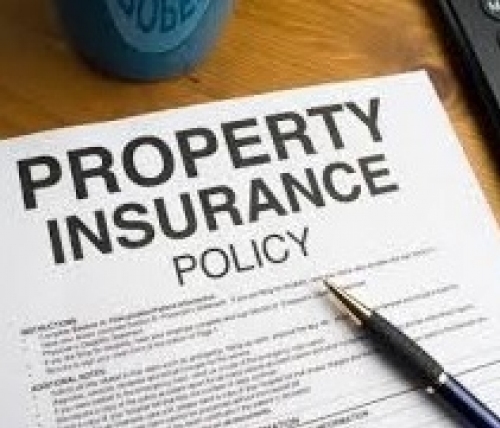 This is one of the reasons why it is imperative that strata lot owners maintain their own content insurance. Your upgraded floors and cabinets betterments would be covered on your homeowner policy and underinsured amounts may also be covered. Strata councils sometimes take the view of doing the repairs and then charging the cost back to the owner who caused the leak, but the strata corporation does not have any interest or obligation in maintaining or repairing a strata lot unless the bylaws of the strata corporation clearly define the obligations, often leaving the strata in a tenuous position over an unsecured debt. When a claim is caused where an owner of another strata lot is responsible, the amount of the deductible or damages to other parties could be claimed against that owner. The strata corporation would normally seek to recover the deductible and hopefully the homeowner's policy will settle the claim. When the amount is below the deductible, which is much more common these days because of higher deductible rates, owners rely on their own insurance policies for coverage, or they have the damages repaired and sue the owner of the strata lot who caused the damages.